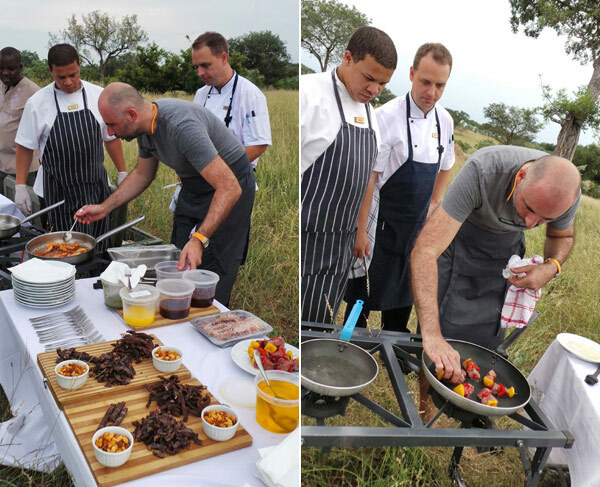 The wide open spaces of the unspoiled African bushveld couldn’t be further from the busy hub of London’s upmarket Mayfair; and yet the two worlds met recently when acclaimed French chef, Eric Chavot, visited Sabi Sabi to share his culinary flair and collaborate with the lodges’ executive chefs. Owner of the highly acclaimed Brasserie Chavot just off Regency Street in Mayfair (described by a top food critic as ‘the best thing to happen to top-end dining for ages’), Eric Chavot has years of experience working with the very best chefs in the world and has gained a reputation as one of the world’s best himself. His résumé reads like a who’s who of best intercontinental restaurants, and includes stints at La Tante Claire, Le Manoir Aux Quay Saisons and The Capital Restaurant in Knightsbridge where he famously held two Michelin stars for ten years. His food philosophy is very much like Sabi Sabi’s: superb local ingredients prepared in a deliciously uncomplicated manner enjoyed in a friendly, relaxed environment. During his visit, the very French Chavot shared not only his prowess and ideas but also adapted some of his own recipes to include the wonderful ingredients which are so abundant in this part of South Africa. He demonstrated how to elevate a simple dish to a breath-taking one by adding a few extra components, he had some interesting ideas on how best to use kitchen and storage space and generally inspired the already excellent chefs to elevate their cuisine to a new level. The teams collaborated with great enthusiasm, enjoying exploring methods of adjusting existing dishes and relishing in the mouth-watering outcomes. One example is Brasserie Chavot’s highly rated ‘Rump of Oisin venison with honey glazed root vegetables’ which the lodge chefs used as inspiration for some of the venison dishes that feature prominently on Sabi Sabi’s menus. A group of international journalists avidly joined in the culinary expedition. What an experience they had, sitting in on the training and collaboration taking place both indoors in the kitchens and outdoors in the bush. Indoors and out, delectable meals were enjoyed with the vast bushveld as the perfect backdrop to a perfect dining experience. 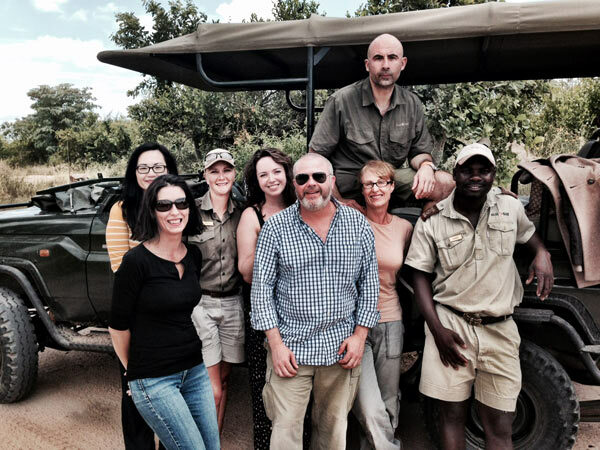 The visit signals the start of an ongoing relationship between Sabi Sabi and Chavot. Although continents apart and with completely different cooking styles, the collaborative experiences were of benefit to both renowned kitchens. There are plans afoot to make this a regular trip, starting by sending Sabi Sabi’s new head chef – Brendon Stein – to London to experience Chavot’s cooking style in his own kitchen. 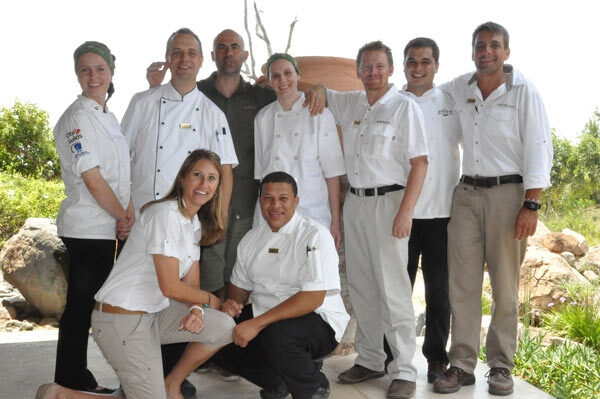 Brendon joined the Sabi Sabi family at Earth Lodge just before the 2014 festive season and feedback has been phenomenal. He has a wealth of culinary experience from both local and international establishments. A longing for his roots eventually led him back to South Africa and we were fortunate to have captured his heart and welcomed him and his brilliant cooking style to Sabi Sabi…the perfect precursor to Chavot’s visit where international and local fare melted deliciously into one pot.